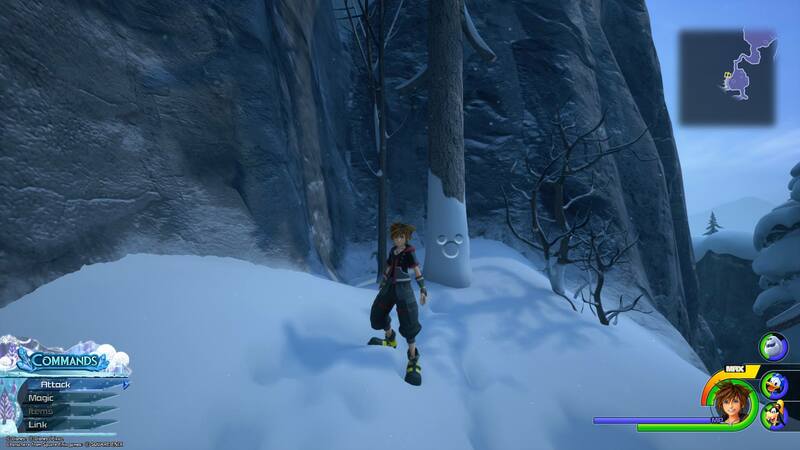 Where to find all 11 Lucky Emblems in the Arendelle world of Kingdom Hearts 3. 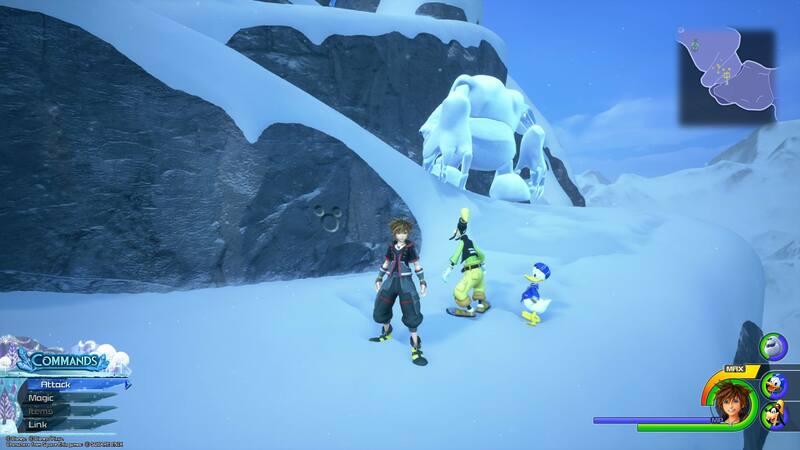 In Kingdom Hearts 3, players will need to find and photograph Lucky Emblems in worlds like Arendelle in order to unlock the game’s secret video. While most worlds have around a dozen Lucky Emblems to find like Monstropolis and Toy Box, smaller worlds like Twilight Town have fewer. 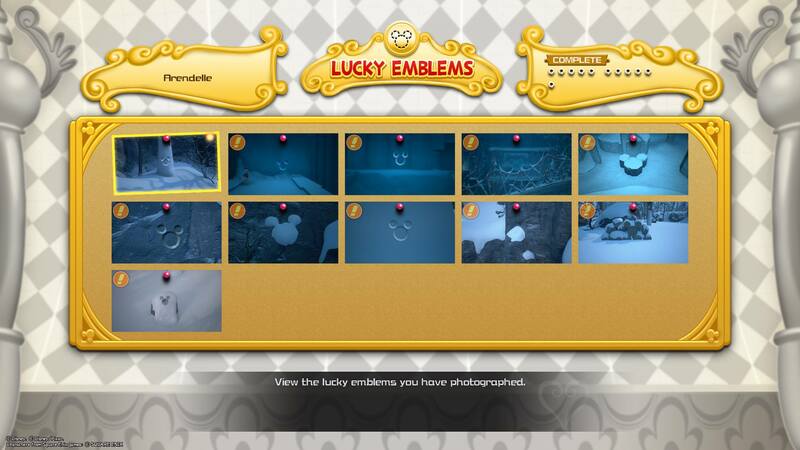 In Arendelle, there are 11 Lucky Emblems to find in total. Struggling to find one or more Lucky Emblems in Arendelle? We’ve got you covered! Below, we’ve put together a quick guide on where to find all 11 Lucky Emblems in the Arendelle of Kingdom Hearts 3. There are 11 Lucky Emblems in the Arendelle world of Kingdom Hearts 3. 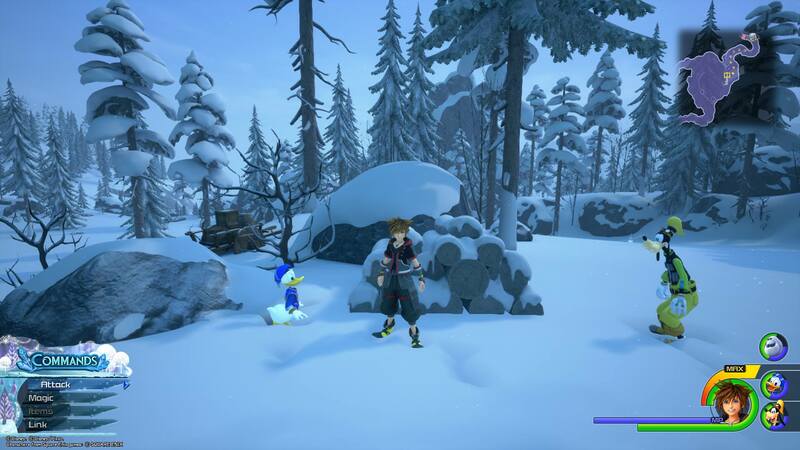 In the Arendelle world of Kingdom Hearts 3, there are 11 total Lucky Emblems to find. To photograph them, you’ll need to use the camera feature on your Gummiphone. This can be done by pressing the touchpad on your PS4 controller, or the Change View button on Xbox One. After you’ve done this, you’ll need to align the square box over the Lucky Emblem and snap a photo. Note that you can zoom in and out using the left and right trigger buttons if you’re too close, or too far away. Struggling to find Lucky Emblems in Arendelle? Below, we’ve listed where to find all 11 Lucky Emblems in the Arendelle world of Kingdom Hearts 3. The first Lucky Emblem in Arendelle can be found by returning to the area where you climb past rocks during a windy blizzard. The first Lucky Emblem in Arendelle can be captured after you complete the world. While playing, you'll eventually reach a point where you have to climb past several rocks during a blustery storm. When returning to Arendelle, spawn in at the Foothills, then turn around and head past the Moogle Shop to return to the area. At the top of a hill, you'll see a purple Treasure Chest. Collect your treasure, then look down and you'll spot a Lucky Emblem on a snow-covered rock. Head up and right from the Foothills spawn until you find a pile of logs. By viewing the logs from the front, you'll be able to capture the second Lucky Emblem in Arendelle. Again, starting from the Foothills spawn, head up the mountain and to your right while keeping an eye out for a pile of logs. When you find the pile of logs, walk around and view them from the front. 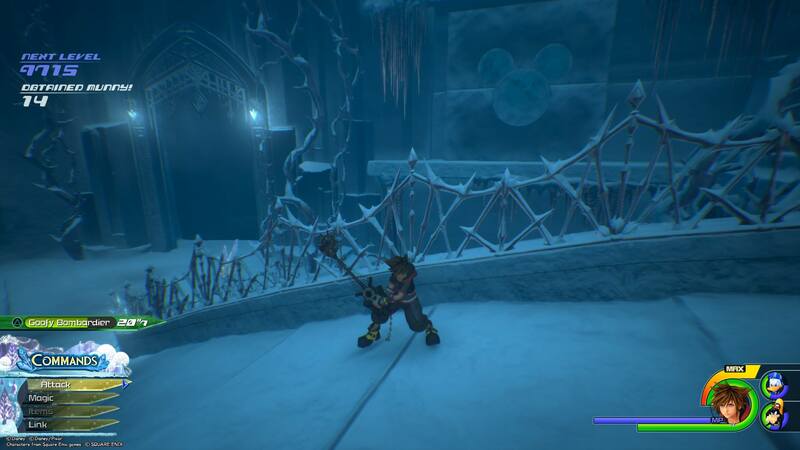 In doing so, you'll be able to capture the second Lucky Emblem in the Arendelle world of Kingdom Hearts 3. From the second Lucky Emblem, continue up the mountain until you spot a ledge where you can jump back down to the area with the frozen river below. Land on the ledge, head left, and you'll be able to spot the third Lucky Emblem on a tree. 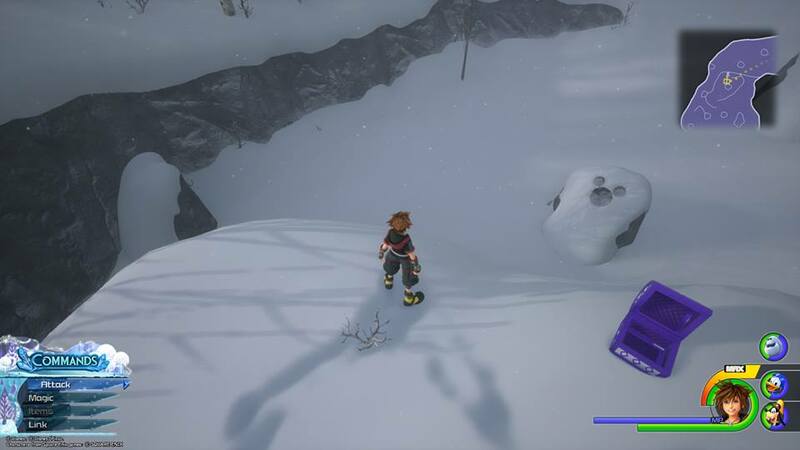 Once you've collected the second Lucky Emblem on the pile of logs, continue a short way up the mountain and look for a ledge on your right that lets you jump back down to the area with the frozen river. Land on the ledge rather than the ground, and then head left to spot the third Lucky Emblem on the side of a tree. Spawn in at Mountain Ridge, then jump over the side of the cliff and head past three small hills to find the fourth Lucky Emblem in Arendelle. To find the fourth Lucky Emblem, you'll need to spawn in at the Mountain Ridge area of Arendelle. From there, turn around and drop down over the edge of the cliff. There, head down past three small cliffs and when you reach the third, investigate the bare side and you'll find the fourth Lucky Emblem. Spawn in at Mountain Ridge, then look for a small opening in the cliff. Enter this and head down in the direction of the Gorge area. You'll pass several icy arches, and on one of them, you'll find the fifth Lucky Emblem. After you collect the fourth Lucky Emblem, head back up to the Mountain Ridge spawn area. Near the save point, you'll see a small opening in the cliff. Enter this opening and you'll be back on the mountain heading in the direction of the Gorge. Continue straight past several icy arches, and on the side of one of these arches, keep your eye out for a Lucky Emblem. Continue down the Mountain Ridge area past two large rock walls. Climb up the one closest to you and head to the left towards a large tree. Drop down, and you'll find the sixth Lucky Emblem. With the sixth Lucky Emblem captured, continue down the mountain until you reach an area with two large rock walls. Scale the one closest to you and head to the left until you reach a large tree. Drop down past this large tree onto a small cliff and look at the wall. 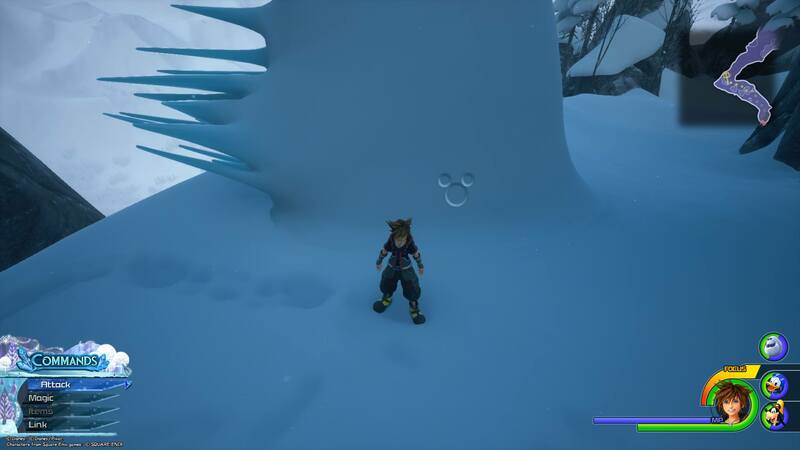 There, you'll find the seventh Lucky Emblem in the Arendelle world of Kingdom Hearts 3. Spawn in at the Labyrinth save point and enter a small hallway directly behind you. Inside, you'll find the seventh Lucky Emblem. The seventh Lucky Emblem can be found in the Middle Tier of the Labyrinth. 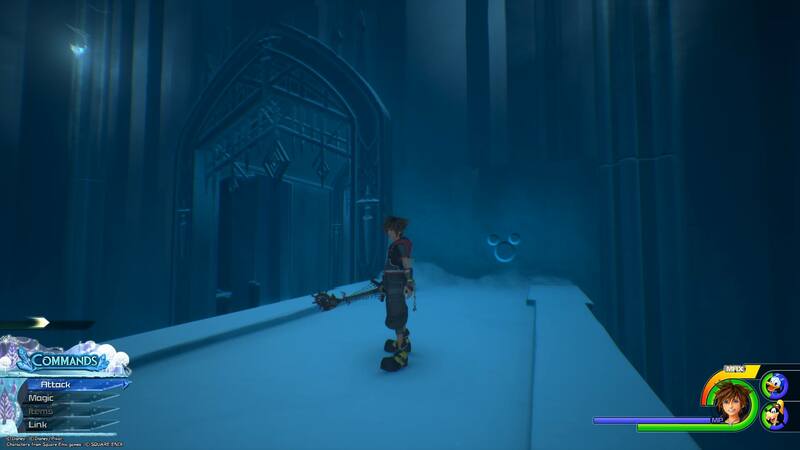 If this isn't your first run through Arendelle, you'll want to spawn in at the Labyrinth save point, turn around, then head down the hallway behind you. Inside, you'll find the seventh Lucky Emblem. If this is your first run, when you reach the Middle Tier save point, follow the steps above to collect the Lucky Emblem, then proceed on your way! 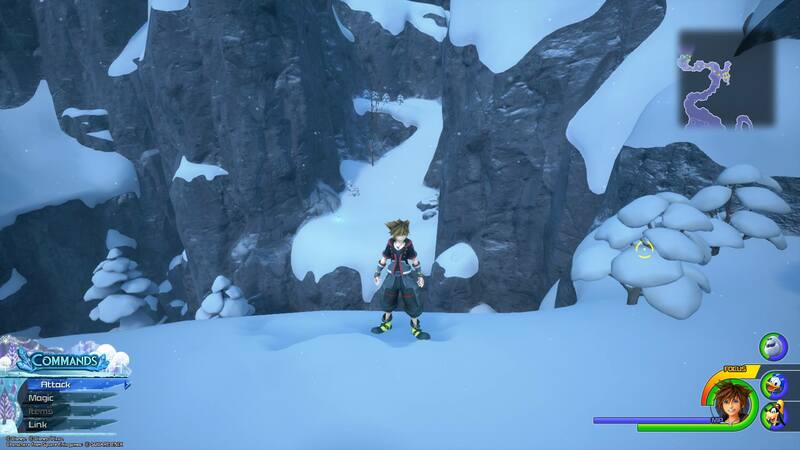 Spawn in at the Snowfield save point, then make your way down until you find a tall ledge that you can climb. Reach the top, then look down and to your right and way off in the distance, you'll see the eighth Lucky Emblem in Arendelle. Spawn in at the Snowfield save point in Arendelle, or make your way up the mountain until you reach several walls that can be climbed. While one continues to lead up to the mountain, there's another wall you can climb in order to reach a small ledge. Look out over the ledge, and to your right on a small hill, you'll find the eighth Lucky Emblem imprinted in the snow. Note that this one requires a bit of squinting to see if you have bad eyesight like we do, making it easy to miss during your first run through Arendelle. The good news is that if you miss it the first time like we did, it's not too far from the Snowfield save point! The tenth Lucky Emblem can be found on the left side of a bridge in the Middle Tier area of the Labyrinth. 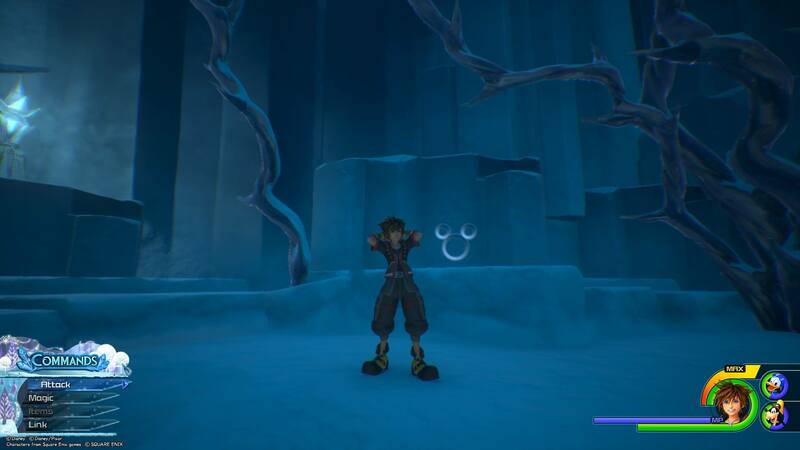 You can find the tenth Lucky Emblem in the Arendelle world of Kingdom Hearts 3 by ascending to the Middle Tier of the Labyrinth from the Lower Tier. Before you cross the bridge, look to your left. There, you should be able to see a large Lucky Emblem imprinted on the wall. Head up through the Middle Tier of the Labyrinth until you encounter a room with an archway. Jump up to the top and look to your left, and you'll see the tenth Lucky Emblem. Continue through the Middle Tier of the Labyrinth until you reach a room with a large archway in the center. Jump up to the top and look to your left. In doing so, you should be able to spot a small Lucky Emblem on the wall. The final Lucky Emblem can be found in the Upper Tier of the Labyrinth in a room reachable by rail slide. The eleventh and final Lucky Emblem can be found in the Upper Level of the Labyrinth. When you reach the Upper Level, you'll come across an area with several rails you can grind. Try them out until you find the one that takes you to a room with several tall rock pillars. Jump up the pillar in the center and look down. 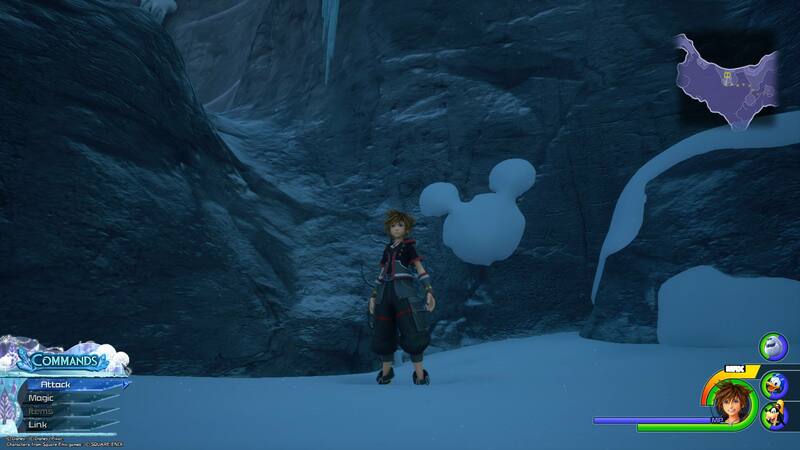 There, you'll see three small rocks in the shape of the last Lucky Emblem in the Arendelle world of Kingdom Hearts 3. By finding and photographing all 11 Lucky Emblems in Arendelle, you’ll be that much closer to unlocking the secret video for Kingdom Hearts 3. Plus, the more Lucky Emblems you photograph, the more in-game rewards you’ll earn. 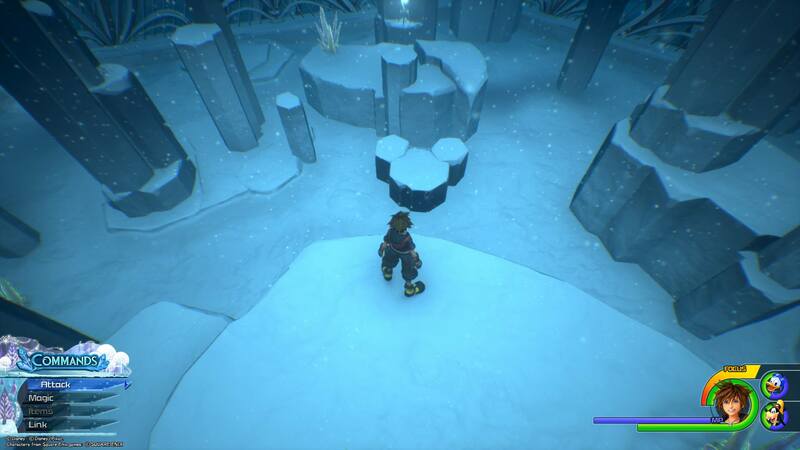 Compared with the other worlds in Kingdom Hearts 3, the Lucky Emblems in Arendelle are among the hardest to find. We did our best describing their locations, but if you're still unable to find one or more Lucky Emblems, we recommend watching the video tutorial embedded below courtesy of YouTube user xTGE. So, were you able to find all 11 Lucky Emblems in Arendelle? Which Lucky Emblem was the hardest to find? Let us know down in the comments below! For more on Kingdom Hearts 3, be sure to check out our previous Lucky Emblem guides including where to find all 11 Lucky Emblems in the Monstropolis world of Kingdom Hearts 3, where to find all 9 Lucky Emblems in the Kingdom of Corona world in Kingdom Hearts 3, and where to find all 11 Lucky Emblems in the Toy Box world of Kingdom Hearts 3.